Buckhorn&apos;s Back to Nature Getaway...private hideaway in this comfy 3/2 cottage with custom wood features-long leaf pine wood cabinets in the kitchen, wood wainscoting, solid antique cypress door, original bead board ceilings, etc. Rustic tin wainscoting in utility room/bunk room, ceramic flooring, vintage wood burning stove in open floor plan kitchen/living. 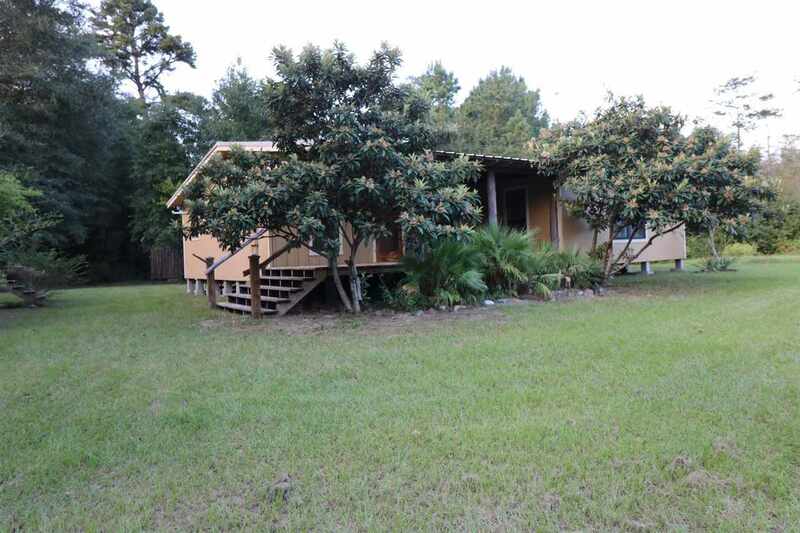 Sit on front porch and watch and listen to nature, over 14+ acres of marshland and wooded land. Hunt, fish, explore by canoe. Outdoor shower, storage building is old Dutch building moved by seller to property, storage shed, well house...The Perfect Getaway! !